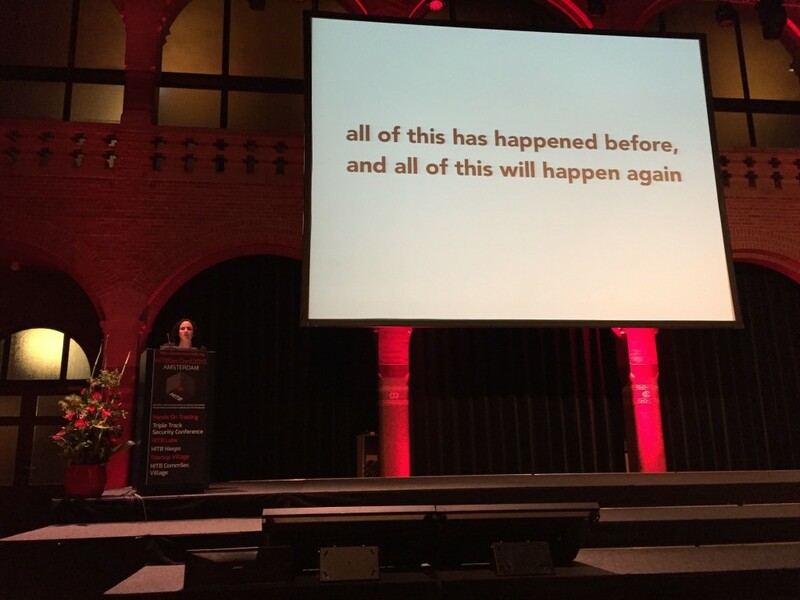 The opening keynote was assigned to Marcia Hofmann who worked for the EFF (the Electronic Frontier Foundation). Her keynote title was: “Fighting for Internet Security in the New Crypto Wars”. EFF always fight for more privacy and she reviewed the history of encryption and all the bad stories about it. It started with a fact: “We need strong encryption but we need some backdoors”. Since encryption algorithms were developed, developers received pressure from governments to implement backdoors or use weak(er) keys to allow interception… just in case of! This already happened before and will happen again. 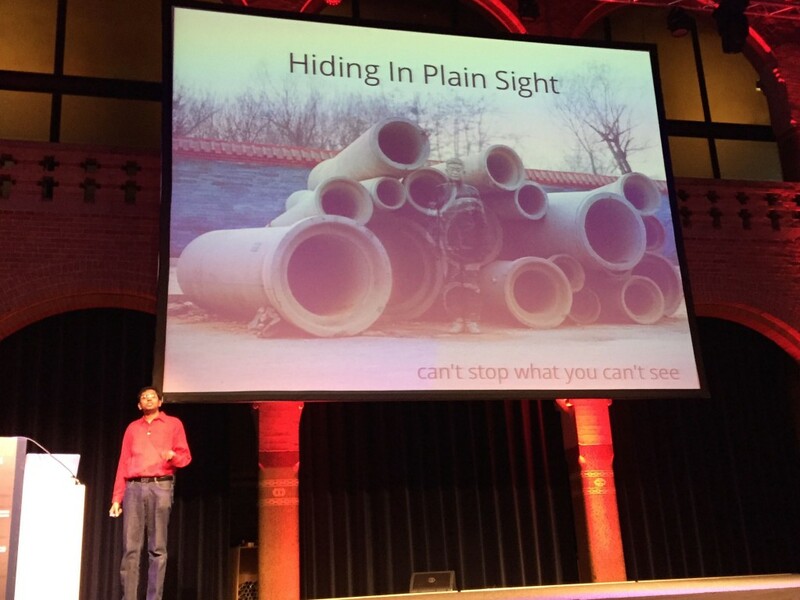 I hope that the keynote helped a lot of people to open their eyes about our privacy! A security approach that actively increases the cost of performing an attack in terms of time, effort and required resources to the point where a successful compromise against a target is impossible. Do not fake network services or re-implement a network protocol. Pedram also explained how he generated nice statistics about the attackers, their behaviour and locations. To conclude, he compared the attackers as somebody throwing bricks through windows. How to we react? We can take actions to prevent this guy from sending more bricks or we can buy bullet-proof windows. It’s the same with information security. Try to get rid of the attackers! 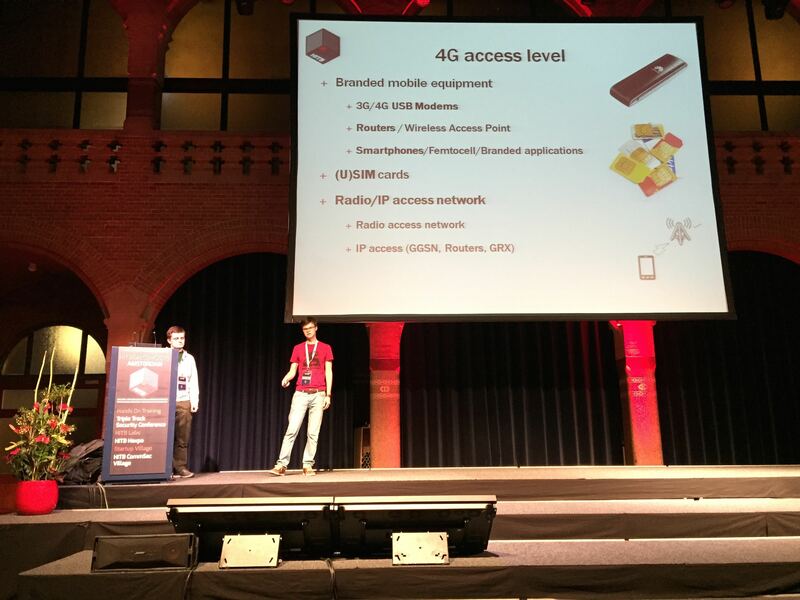 My next choice was a talk about mobile phones operators: “Bootkit via SMS: 4G Access Level Security Assessment” presented by Timur Yunusov and Kirill Nesterov. Today, 3G/4G network are not only used by people to surf on Facebook but are also used more and more for M2M (“machine to machine”) communications. They explained that many operators have GGSN (“GPRS Gateway Support Node”) facing the Internet (just use Shodan to find some). A successful attack against such devices can lead to DoS, leak on information, fraud, APN guessing. BTW, do you know that, when you are out of credit, telco’s block TCP traffic but UDP remains available? It’s time to use your UDP VPN! But attacking the network in this way is not new, the speakers focused on another path: attacking the network via SMS! About the hardware, they investigated some USB modems used by many computers. Such devices are based on Linux/Android/Busybox and have many interesting features. Most of them suffer of basic vulnerabilities like XSS, CSRC, ability to brick the device. They showed a demo video to demonstrate an XSS attack and CSRF to steal the user password. If you can own the device, the next challenge is to own the computer using the USB modem! To achieve this, they successfully turned to modem into an HID device. It is first detected as a classic RNDIS device then it is detected as a keyboard and operates like a Teensy to inject keyboard keypresses. You own the modem, the computer, what about the SIM card? They explained in details how they achieve this step and ended with a demonstration where they remotely cloned a SIM card and captured GSM traffic! The best advice they can give as a concluse: always change your PIN code! 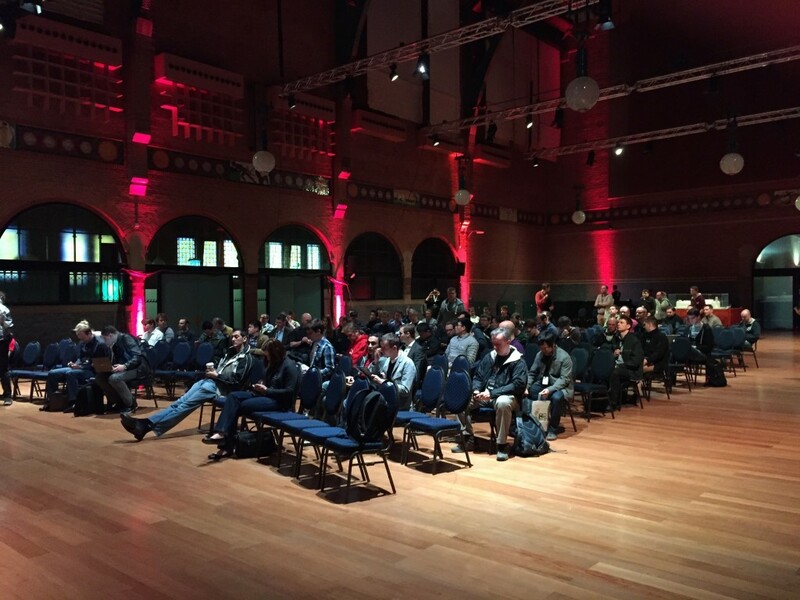 After the lunch, Didier Stevens and myself gave our workshop about the IOS forensics. I did not attend two talks but my next choice was to listen to Bas Venis, a very young security researcher, who talked about browsers: “Exploiting Browsers the Logical Way”. The presentation was based on “logic” bugs. No need to use debuggers and other complicated tools to find such vulnerabilities. Bas explained the Chrome URL spoofing vulnerability and he discovered it (CVE-2013-6636). Then he switched to the Flash players. The goal was to evade the sandox. After explaining the different types of sandboxes (remote, local_with_file, local_with_network, local_trusted and application), I explained that the logic of URL/URI is not rock solid in sandboxes and lead to CVE-2014-0535. The conclusion was that looking for logic bugs and using them proven to be a sensitive approach when trying to hack browsers. Sweet results can be found and they do not require tools but just dedication and creativity. Just a remark about the quality of the video, almost unreadable on the big plasma screens installed in the room. 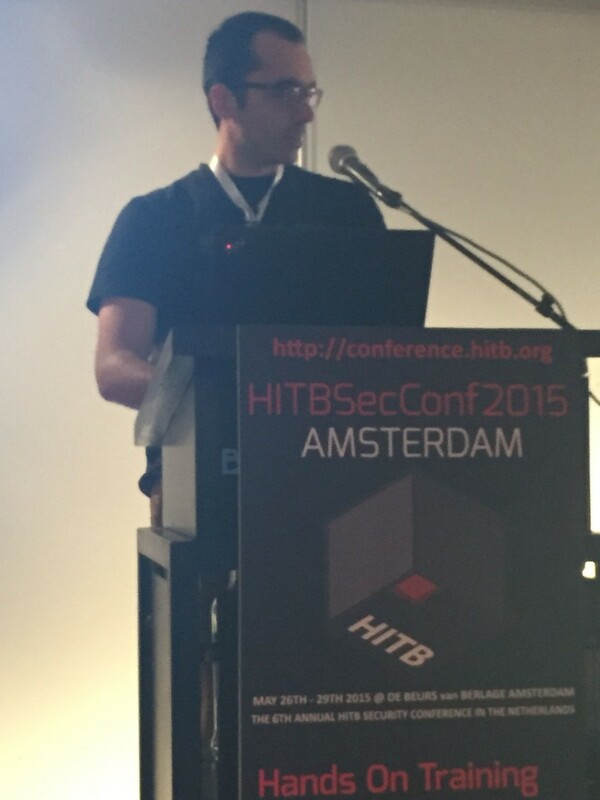 Finally, the first day ended with a rock-start: Saumil Shah who presented “Stegosploit: Hacking with Pictures”. This presentation is the next step in Saumil’s research about owning the user with pictures. 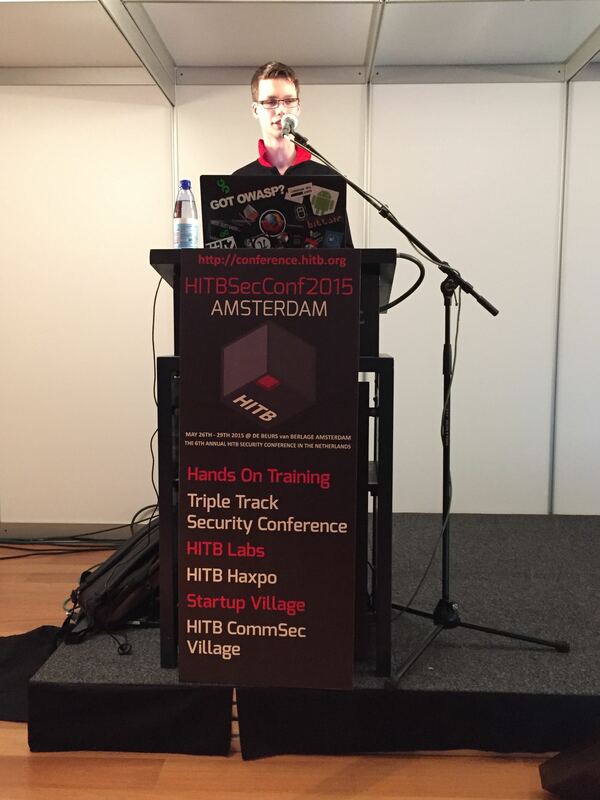 In 2014 at hack.lu, he already presented “Hacking with pictures”. What’s new? Saumil insisted in the fact that “A good exploit is one delivered with style”. Pwning the browser can be complicated, why not just find a way to simple trick the exploit? The first part was a review of the history of steganography which is a technique used to hide a message into a picture, without altering it. Then came the principle of GIFAR: One file file with a JAR file appended to it. Then webshells raised with the embedding of tags like “<?php>” or “<% … %>”. Finally EXIF data were used (example to deliver a XSS). Stegosploit is not a new 0-day exploit with a nice name and logo. It’s a technique to deliver browser exploits via pictures. To achieve this we need an attack payload, a “safe” decoder which can transform pixels into dangerous data. How? Browsers accept unknown tags and get pwned! The talk ended with some nice demos of exploits popping up calc.exe or Meterpreter sessions. Keep an eye on this technique, it’s amazing to own a user! This closed the first day! Note that slides are uploaded after each talk and available here. « When Security Makes Users Asleep!